Everything is accessible from your browser so there is no software to install or keep up to date. 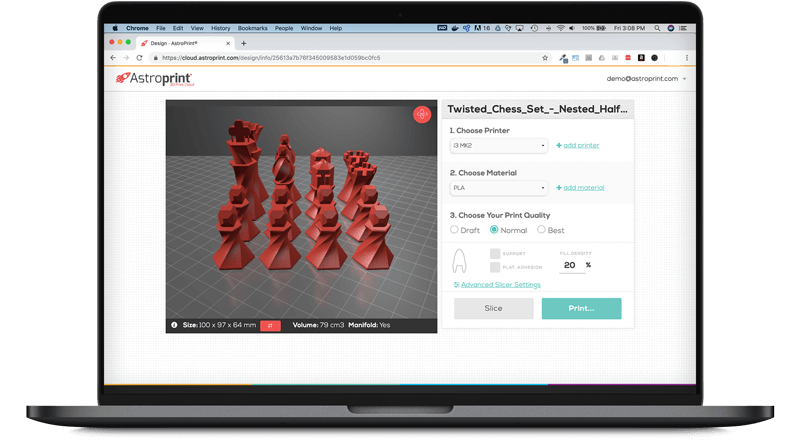 Slice with Slic3r or Cura Engine even faster using our superfast computers. Just 3 settings and you can get great prints. 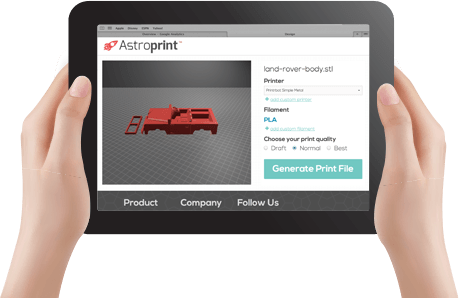 A combo of manufacturers recommended settings and our own algorithms give great results. Advanced settings available for users who like to tweak. 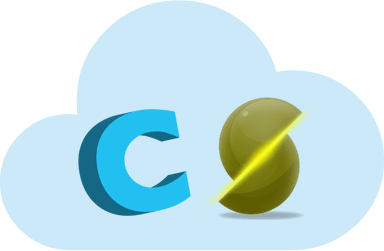 Keep your files stored neatly in the cloud so you can access them anywhere. 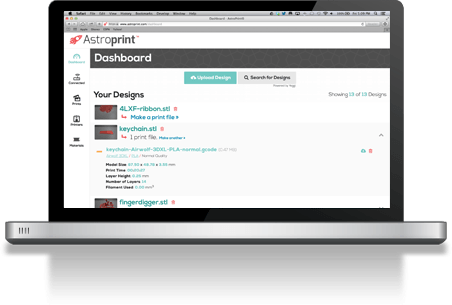 Download GCode or send files straight to your printer with the AstroBox.